The River-Basin focused approach of TBS has lead to the rejuvenation of seasonal rivulets as perennial rivers. When there was plenty of water in River Arvari, there was natural growth of fish, which continued to multiply. The government wanted to get hold of fish and brought in a contractor. The people resisted and the Government had to cancel the contract. It is not that the local people wanted control over the fish. Far from it! They are all vegetarians and do not eat fish, but they realized that today it was fish tomorrow it would be water. This incident led to the formation of Arvari Sansad (River Arvari Parliament). The Sansad represents 72 villages, each of which sends two representatives. Thus, it has 142 members who are nominated by their respective village institutions (Gram Sabhas). 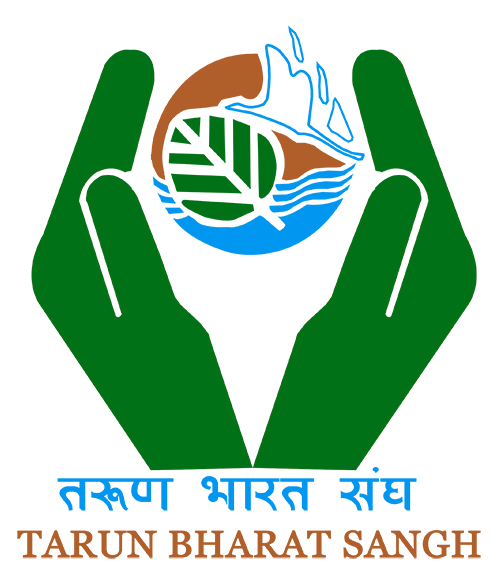 The primary objective of the Sansad is to safeguard Integrated and Water Management efforts of the community of river catchment. It follows Gandhian ethos of participatory, equitable and decentralised paradigm for water management (Jal Swaraj), where decisions are made at the grassroots not by centralized institutions. Thus Arvari Sansad develop policies and enforce rules to govern the integrated management of interlinked natural resources like water, soils and the forest for the wellbeing of the villagers as well as other forms of life-flora and fauna. Arvari basin shall not have sugarcane, paddy & chilli. People growing these to be penalised. No one shall draw water from the river after Holi (Mar Apr) up to monsoon (July). Borewells not be allowed in Arvari catchment. Recommended crops – barley, makka, bajra in upper and vegetables in lower reaches. No axe can be carried to Bhairodev people’s sanctuary, catchment of the source of Arvari. Fishing can be done only for food. Large-scale trade of foodgrains and vegetables was banned. Local production and consumption to be emphasised. Village people to help people from other areas for implementing water harvesting structures. Cattle outside the region are not permitted for grazing. Rotational grazing to be followed by farmers in their own pasturelands. Industrial units prohibited in 405 sq km of Arvari basin. 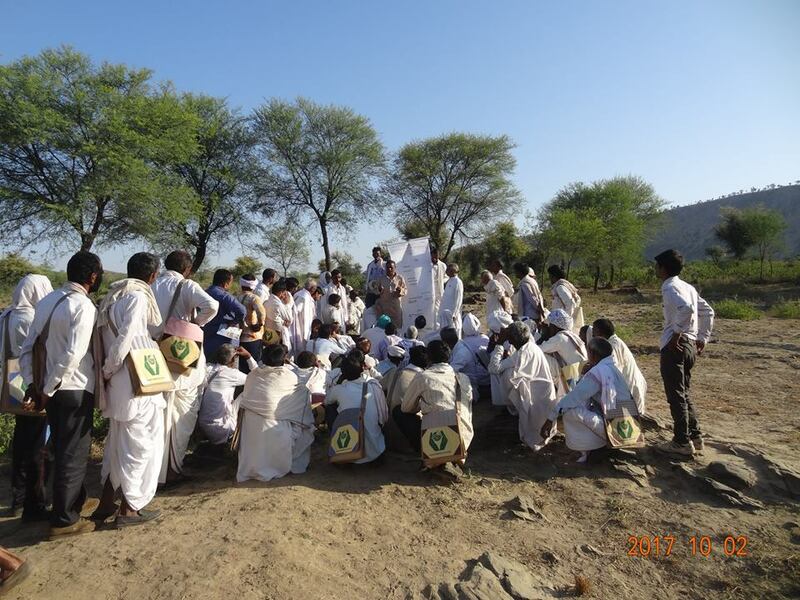 In situations where village-level violations are reported, solutions are arrived at cordially through discussion and mutual consent within the village communities. A vital water-use policy formulated by the Arvari Sansad, was to enforce a cropping pattern that comprise of crops that consume very less water and discourage water intensive crops (e.g. sugar cane). However, this policy initially faced unyielding opposition from saansads (parliament members) as it was argued that sugarcane provide cash, jaggery and sugar for domestic use. Through a long process of debate and discussions in various meetings with the farmers (in Gram Sabhas), Saansads, social workers and TBS volunteers, the Arvari Sansad arrived at a “compensatory agricultural crop pattern”. Under this system, a farmer can devote 25% of his land under water intensive crop i.e. sugar cane and the rest of his landholding would be under less water intensive crops. This was unanimously agreed upon in the Sansad and is being successfully implemented. Another triumphant policy was to prevent the sale of agricultural land to industries or big private companies interested in water based enterprises such as brewery. The Arvari Sansad is also taking advantage of a law that requires special permission for conversion of agricultural land for non-agricultural purposes. Growing evidence in terms of various studies prove that compliance of rules and regulations stood at about more than 80 % now. This example demonstrates community leadership in action in protecting a resource. This is the only region in the country where the people themselves have set up a unique river basin organization for Demand-side Water Management. The Arvari Sansad meets on a regular basis and thus has traveled more than 10 years and has been successful in keeping wrong-doers at bay. Though this ‘river Sansad’ has no legal status and its decisions are not legally binding, the moral force of people makes its survival possible. 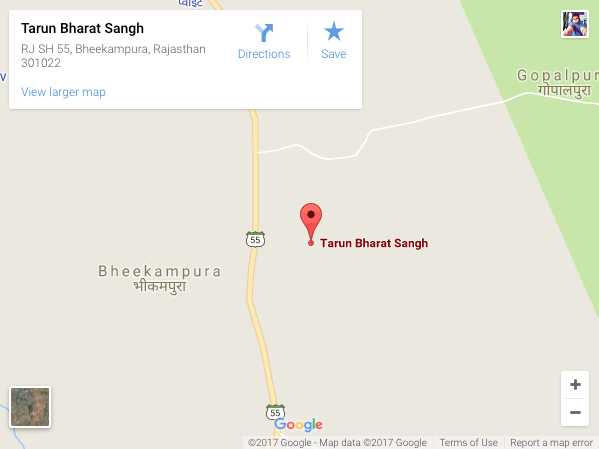 The workers of Tarun Bharat Sangh have served as facilitators. This success has been a product of contributions, participation and sharing as every member of the rural community bear ownership of river and its waters thereby ensuring the safety and maintenance of the resources. Most of the time, the community has succeeded in driving away the manipulative forces. But in future, if the social fabric of the community weakens, some from within the community and stronger external forces could question the legal status of the Sansad and the norms laid down by it. For this purpose the TBS is in process of drafting a strategic legal environment for community management of river basin to give teeth to the rules promulgated by the Arvari Sansad.